The application and other materials, such as a poster and sample news releases, are now available for the 2018 Amelia Earhart Fellowship. Graciela González Peytaví ist eine der 5 Gewinnerinnen des AE Stipendiums 2015 die im D14 leben und arbeiten bzw. studieren. Herzlichen Glückwunsch ! Ms. Gonzáles Peytaví will study and develop new concepts for autonomous spacecraft navigation in different phases of a lander mission ,such as interplanetary flight, approach, entry, descent and landing, to a micro gravity body in deep space ( e.g. an asteroid) She volunteers for a local branch of Engineers Without Boarders and enjoys automating remotely controlled model planes and copters. Melinda Verebélyiné Dósa ist eine der 5 Gewinnerinnen des AE Stipendiums 2015 die im D14 leben und arbeiten bzw. studieren. Herzlichen Glückwunsch ! 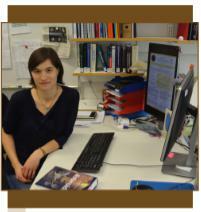 Ms. Verebélyiné Dósa´s Ph.D. thesis is on the geo-effectiveness of space weather related solar wind disturbances. Her work is in the field of space weather, focusing on the dynamic structures in the heliosperic magnetic field ( HMF) that is established by the continuously emitted solar wind flow. 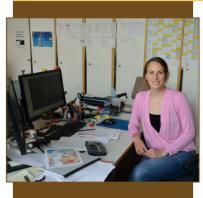 Ms. Verebélyiné Dósa is interested in different languages and Asian culture. Alena Probst ist eine der 5 Gewinnerinnen des AE Stipendiums 2015 die im D14 leben und arbeiten bzw. studieren. Herzlichen Glückwunsch! 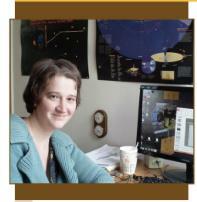 Ms.Probst´s Ph.D. topic is the accessibility analysis of multiple body encounter missions. The aim of her research is to increase the knowledge of small planetary bodies and their scientific importance in the formation of the solar system or even life on Earth. Ms. Probst enjoys languages and music and is an avid basketball player. Susanne Peters ist eine der 5 Gewinnerinnen des AE Stipendiums 2015 die im D14 leben und arbeiten bzw. studieren. Herzlichen Glückwunsch! Ms.Peters is investigating innovative autonomous approaches for safe satellite operation for active debris removal. After anaylyzing the distribution and characteristics of space debris in low earth orbits, she defined criteria for a realistic mission scenario. 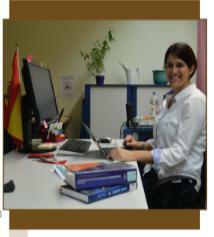 Ms. Peters enjoys sports hiking and learnig foreign languages. Linda Forster ist eine der 5 Gewinnerinnen des AE Stipendiums die im D14 leben und arbeiten bzw.studieren. Herzlichen Glückwunsch! 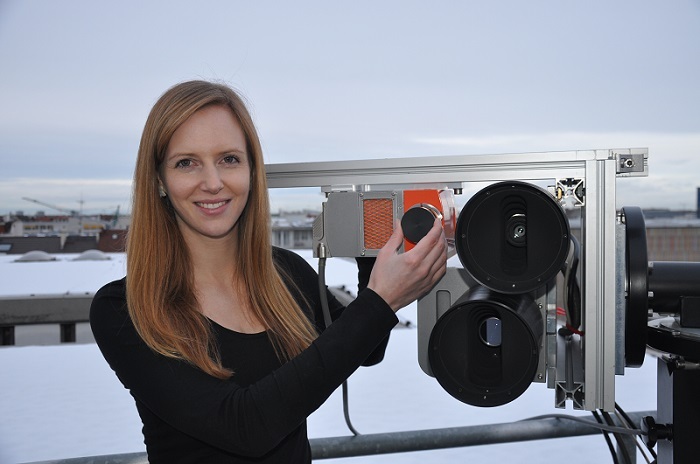 Auf dem Foto sieht man sie auf der Beobachtungsplattform des Meteorologischen Instituts München wo sie gerade den hyperspektralen Wolken-Imager specMACS für Messungen vorbereitet. specMACS hat während der ML-Cirrus Kampagne im Frühjahr 2014 von der Dachplattform der LMU München aus gemessen. Diese Messungen wurden mit in-situ Messungen des Forschungsflugzeuges HALO koordiniert und lieferten einen wertvollen Datensatz für Linda Forsters Doktorarbeit. The following materials are to assist you in promoting the Zonta International Amelia Earhart Fellowships -Zonta International’s oldest and longest running international service program. You can find the materials listed below on the Zonta International website at http://www.zonta.org/MemberResources/Tools/AwardScholarshipFellowshipTools.aspx. Sample News Releases for the 2014 Fellows – These releases are designed to be adapted for use in your district/region to raise public awareness about the Zonta International Amelia Earhart Fellowship Program. The first release can be adapted to focus on a specific fellow either originally from, or studying in your district/region. The second release focuses on the international and status of women aspects of the Zonta International Amelia Earhart Fellowship Program. Fellowship Presentation Form – This form is to be returned to Headquarters by the governor/region representative or a member that will be presenting the wings pins and certificates to the Amelia Earhart Fellows. A Zonta International Program, Funded through the Zonta International Foundation. The Zonta International Amelia Earhart Fellowships were established in 1938 in honor of Amelia Earhart, famed pilot and Zonta club member. The Fellowships are granted annually to women pursuing graduate Ph.D./doctoral degrees in aerospace-related sciences and aerospace-related engineering. The Amelia Earhart Fellowships are awarded annually to women pursuing a Ph.D./doctoral degree in aerospace-related sciences and aerospace-related engineering. The Fellowship of US$10,000 may be used at any university or college offering accredited post-graduate courses and degrees. Students must be registered in a full-time Ph.D./doctoral program when funds are received in September and will not graduate before April 2014. Current fellows may apply to renew the Fellowship for a second year and will undergo the same application and evaluation procedures as first-time applicants. Women of any nationality pursuing a Ph.D./doctoral degree who demonstrate a superior academic record in the field of aerospace-related sciences and aerospace-related engineering are eligible. Students must be registered in a full-time Ph.D./doctoral program when funds are received in September and will not graduate before April 2014. Please note that post-doctoral research programs are not eligible for the Fellowship. Members and employees of Zonta International or the Zonta International Foundation are also not eligible to apply for the Fellowships.